It’s a pleasure to be teaching this summer’s five-evening course on the life and astrology of Marsilio Ficino. He was one of the pioneers of the early Italian Renaissance and used traditional astrology in surprising and innovative ways. Here’s more about the upcoming course. During the second half of the 1400’s Marsilio Ficino translated important ancient texts from Greek into Latin from Plato, Neoplatonism, and the Hermetic writings. Mainstream history acknowledges Ficino as one person responsible for the diffusion of ancient culture throughout Europe that helped give rise to the modern age. (The arrival of the newfangled printing press was a great advantage.) His translations were considered authoritative for centuries until they were replaced by those in vernacular languages, at which time interested in his work faded – until the twentieth century. 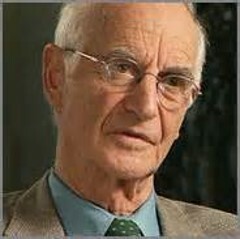 James Hillman (1926-2011) was a psychologist who sought to revive ,modern interest in the concept of soul and promoted Ficino’s place in the history of psychology. The twentieth century rekindled interest in Ficino first by the Jungians and James Hillman: they found in Ficino’s writings an therapeutic psychology and astrology that used archetypes and emphasized using creative imagination for soul development. Thomas Moore, a follower of Hillman and author of Care of the Soul and other works, discussed Ficino’s use of astrology as imaginative psychology in his The Planets Within (1993). At this time astrologers began to become interested in Ficino’s use of astrological technique. Today’s astrologers also learn about how he connected Neoplatonic philosophy with “natural magic” and with traditional astrology. 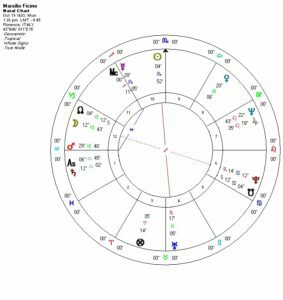 What is the relationship between an astrological election and ritual? How can one use astrological factors to enhance one’s life, for purposes of health and well-being and for purposes of soul development? The third book of his Three Books on Life, the focus of my upcoming course, addressed these issues directly. Cosimo de Medici (1433-1499) discovered Ficino’s young intellect and set him up to translate important Greek philosophical texts unknown to the West. Ficino’s life is articulated by a few important events. His father was a favorite doctor of Cosimo de Medici whose money and prestige ruled Florence during most of his lifetime. When Cosimo met the teenager Marsilio, he stated that as father was the doctor of the body, son would be doctor of the soul. Later, after Marsilio had studied medicine (and astrology, of course) in Bologna, Cosimo assigned to him the translation of Greek texts and installed him in a villa outside Florence for this work. Over the next few decades Ficino fulfilled these obligations and gathered around him a community of fellow devotees of philosophy and wisdom literature; his dining table was peopled by some of the important figures of the Italian Renaissance. His formal writings on philosophy, religion, and what we might call “psychology” were prolific. His letters gives us further insight into his character and important relationships. After Cosimo died in 1464, Ficino became responsible for the education and cultivation of the younger Medici family. In 1473 he was ordained as a Catholic priest. His relationship with Lorenzo de Medici was more complex than with Lorenzo’s grandfather Cosimo. Ficino’s work continued and his Books on Life came out in 1489. 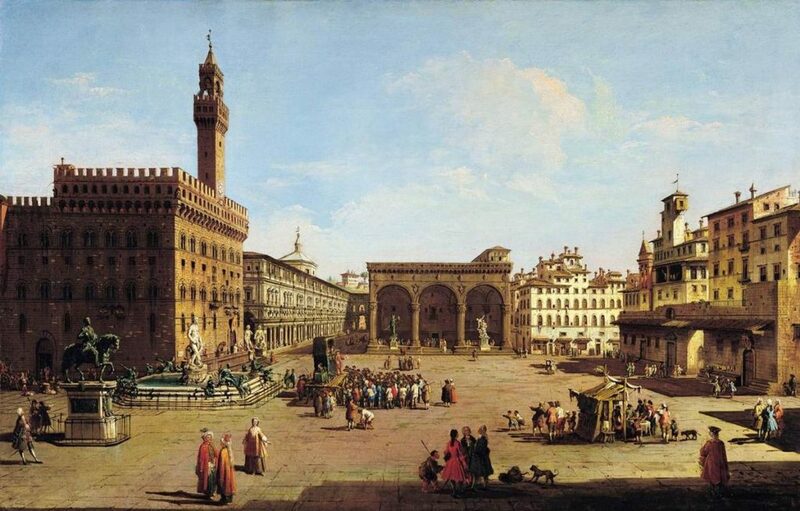 By this time, however, things were becoming difficult in Florence with the increasing influence of Dominican Girolamo Savonarola and they worsened further with the exile of the Medici family following the French invasion in 1494. Marsilio Ficino died in 1499. Marsilio Ficino’s astrological chart. Click for a larger picture on another tab. Marsilio Ficino knew about natal chart although he was incorrect in some of its planetary position. In one matter he was on the money: in a famous exchange of letters Ficino wrote about his Aquarius Ascendant with Saturn in his First House and his tendencies toward melancholy. Indeed, Ficino helped mint the stereotype of the saturnine individual as scholar and deep thinker, yet he also acknowledged Saturn’s positive influences on him. Saturn, the planet furthest away from the Earth and therefore closest to God, is traditionally the planet of contemplation. Saturn is a cold and dry planet, and these are qualities conducive to strong concentration and austerity, not for social entertainment and self-indulgent luxury. Ficino’s Saturn in Aquarius is in its own sign and its own triplicity, since he was born during the daytime, with the Sun above the horizon. Because of the strong position of Saturn, Ficino stood a strong chance to embody the saturnine virtues of hard work, patience, strong self-definition and focus. Saturn also gave him a more conservative character than many of his younger followers. Although his thinking and work were on the cutting edge of new scholarship, Ficino had a strong background in the Aristotelian philosophy and the Thomist theology of his day and never departed from that foundation. After an illness he determined that he had done too much Plato and too little Jesus and at the age of forty was ordained as a Catholic priest. For all his dabbling in traditions of magic and ancient thinking, Ficino’s work has a Christian element. Aquarius, as a fixed air sign, could have a cerebral nature that may also be inclined to self-righteousness, as if others were more subjective and biased than he. Part of Ficino’s role as educator and advisor to the following generation of luminaries in the city of Florence and, to me, his letters to Lorenzo de Medici have a hectoring quality. A modern person may consider Ficino’s role a mixture of Shakespeare’s Prospero and Polonius. One cannot look at Saturn alone to account for Ficino’s melancholy for staring at us above his Ascendant is Moon in Capricorn in the Twelfth Place from the Ascendant. His Moon placement tightens up emotional and expressive spontaneity and can subject one to a daily life that is dry and tedious. As an influential person with a host of friends, acquaintances, and important contacts, one whose life work has been favored and bankrolled by the dominant people in Florence, his melancholy feels part of his personal life, not a response to life’s normal vicissitudes. The Twelfth Place can make it difficult to act in accord with one’s conscious intentions and here could also result in anxiety. Moon’s opposition from Pluto doesn’t help make this placement an easy one. Using Whole Sign houses, both Sun and Mercury in Scorpio are in the Tenth Place from his Ascendant Aquarius, signifying career. Both placements are governed by Mars in Capricorn in the Twelfth, a position of dignity (exaltation) for Mars but in the weak Twelfth Place. There are several ways to interpret the influence of Ficino’s Mars. Although his life seems quite favored compared to the lot of many scholars, his public position did not always reconcile with his more contemplative role and the resulting insecurity may have contributed to his better-known melancholic disposition. Although Scorpio is a fixed sign, we must consider the strong opposition of Uranus to the Sun, signifying restlessness, maybe rebelliousness. These qualities do not combine well with his more fixed saturnine nature. Ficino was sensitive to the contradictions inherent in his Neoplatonic (may we say “pagan”?) studies and his traditional Christian loyalties. In many ways Ficino was a profound innovator despite himself. Mercury, a significant planet for Ficino’s profession of translating and writing and teaching, is in the late degrees of Scorpio and in a close applying sextile to Mars. This sextile to an exalted Mars helps us understand his determination and his industry in published work as well as the strong prose from his letters. 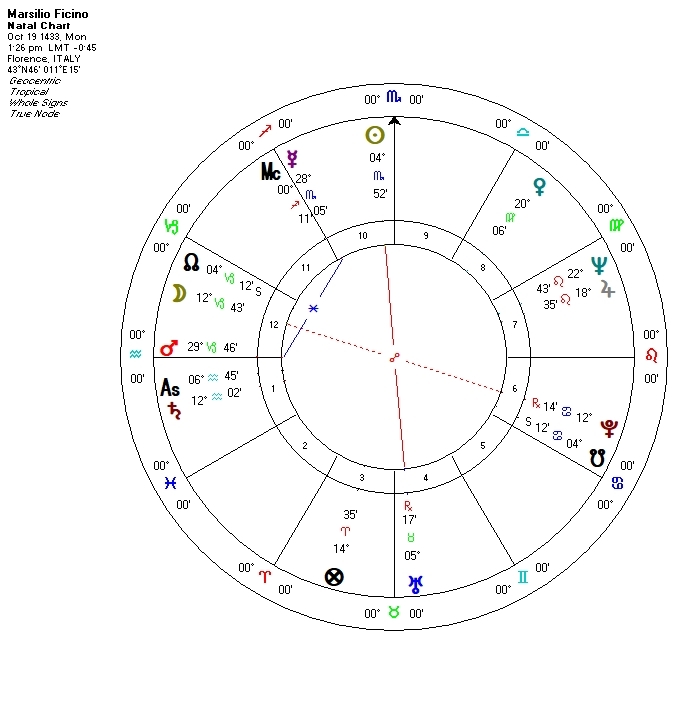 Accepting our received birth time for him as authoritative, Mercury is also conjunct his Lot of Daimon (often referred to as Part of Spirit). Distinct from the Lot of Fortune that is symmetrical to the Ascendant degree, the Lot of Daimon signifies the inner life in which one makes personal decisions, where one maintains an individual perspective on himself and the world. Together with his Sun-Uranus opposition, we see Ficino as an strong freethinker with a measure of saturnine anxiety, a pluralistic person living in a non-pluralistic culture. 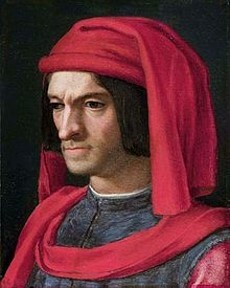 Lorenzo di Medici (1449-1492), grandson of Cosimo, succeeded him as Ficino’s patron during the later’s mature years. Not a simple relationship. Jupiter is in Leo in the angular and interpersonal Seventh Place but has a conjunction with Neptune. Once again we are met with contrasting influences, for his Jupiter is affiliative, even gregarious, but his Neptune can be otherworldly. His letters, often to influential people like Lorenzo de Medici but also to Pope Sixtus, contain admonishments to these individuals to follow the better angels of their natures. We will end with Venus and my notable omission of any information about Ficino’s personal life. Venus is in the Eighth Place in its fall in Virgo, and yes there’s no mention of women in this man’s life. Her may have remained celibate throughout his life. His culture was male-dominated and his ancient mentors Plato and the Neoplatonists maintained a distrust of women and their (allegedly) more physical natures. If you’re familiar with the infelicitous expressions “Platonic relationship” and “Platonic love”, now you know the origin of these concepts. Was Ficino homosexual or at least experimented with love of the same gender? From a culture that would not look favorably upon such alternatives, Marsilio may have opted for the closet. Moon in Capricorn in the Twelfth opposed by Pluto may give further credence to this possibility. Venus’s placement is, however, less bleak than it initially appears, for Venus is in its triplicity in Ficino’s daytime chart and is disposited by his strong Mercury in the Tenth. Although Ficino lived comfortably in his donated villa outside Florence, he was reputedly austere in lifestyle and practiced moderation in all luxuries. More importantly for us, however, was his support of younger artists (Sandro Botticelli being the most famous example) and his relationship with music. In his Three Books on Life Ficino talks extensively about qualities and planetary correspondences with music and song and clearly this non-guilty pleasure was extremely important in his life and for his legacy. 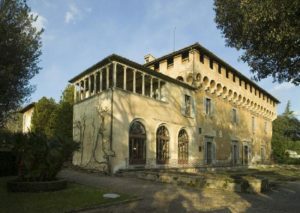 Ficino’s “digs” outside Florence, bankrolled by the Medici and a favorite place for the Florentine luminaries of the early Italian Renaissance. This great American poet was not a closed homosexual yet lived as austere a life as did Marsilio Ficino. Whitman, always quotable, states in Song of Myself, “Do I contradict myself? Very well, then I contradict myself, I am large, I contain multitudes.” Marsilio Ficino, a pluralistic individual in a world more monolithic than ours, survived and flourished and remains influential to this day – to historians, linguists, depth psychologists, artists, even to those who practice magic and astrology. How are you these days? Of course we’re all a little older. Thanks for refreshing my interest in Ficino. It’s time to re-read Thoman Moore’s book on The Planets Within, especially since Saturn and I have a very strong relaionship. I’ll be using Moore’s book in classes two and three. You could join in!